You're heard the story by now: Apple is putting an LTE chip into the Watch Series 3, which would let users perform a variety of tasks without having an iPhone nearby, if reports are to be believed. As someone who's used plenty of Android Wear watches with cellular connectivity, I have some concerns. First, the positives. Let's assume Apple has found a way to cram in an LTE chip without chomping into the Watch's current battery life (surely a challenge for the 42mm, let alone the 38mm). Let's assume it's also locked in some straightforward, affordable deals with carriers, and we'll even presume this has all come at no expense to the Apple Watch's relatively slender body (alternate theory: the antenna is put in a strap). Say that's all a done deal, how might the Apple Watch experience be better for it? The first obvious use case is exercise, as with a cellular-connected Apple Watch I could leave the house for a run without my phone while still receiving notifications and streaming music. Second scenario: the music. 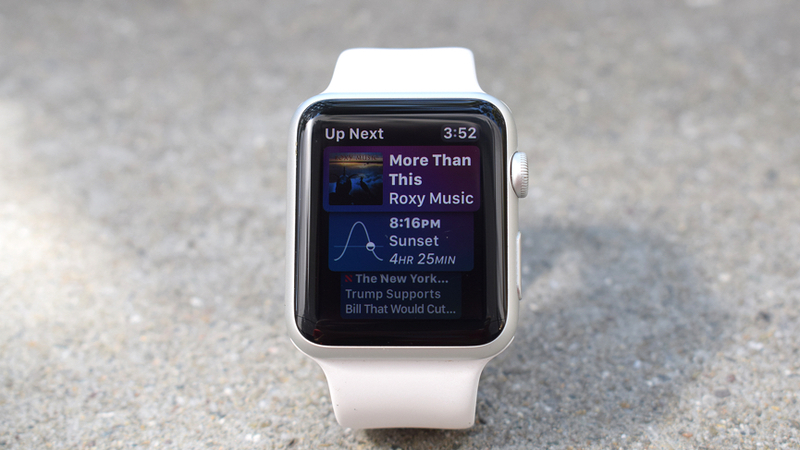 With watchOS 4 Apple has revised the listening experience, and whether by coincidence or not, in the year that Apple put the final nail in the coffin of the (screen-less) iPod, the Watch is blossoming into a dandy little music player. With LTE it would be potentially better, allowing me to stream when away from my phone. And that's where it feels like the use cases stop - for now. To my mind, for an LTE Apple Watch to make more sense, Apple needs to change two things: Siri and apps. Siri is lagging behind its voice rivals; it's not yet good enough that it can replace most button presses (or screen taps). My colleague Husain has pondered on how Apple may use the Watch and AirPods together to replace the iPhone, and while addition of LTE would be a notable step towards that vision, together they still won't be enough to replace the smartphone until Siri doesn't feel so stupid. If I can't 100% rely on Siri to respond to a message or perform a task correctly on first ask, that's not good enough. Apple has made improvements in Siri's contextual understanding, and the Siri watch face in watchOS 4 is a good example, but her failure rate is still too high and skills too few. Sadly, reports suggest Apple's ambitions for Siri are also too limited. Then there are the apps. Yeah they're a bit faster now, but they must be faster still - and there must be more of them. Perhaps LTE will give Watch apps a whole new lease of life, but as it stands, there aren't enough I use regularly that would be much better with a data connection. Exercise apps, yes. Uber, perhaps. But what else? This is why no LTE Android Wear watch has managed to win me over yet; the rest of the tech hasn't caught up to the point that a cellular connection will make a lot sense. It will be interesting to see how Apple frames the use cases of an LTE Watch come September. For now, it seems like the benefits will be small for the added cost - until other things change. Do you agree with Hugh's thoughts on an LTE Apple Watch? Let us know in your comments below.